The games open March 20 March 25 and are open weekends and school holidays in the spring and fall, as well as some evenings in May. 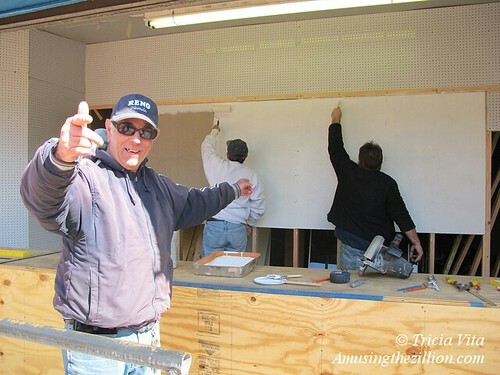 The daily schedule kicks in Memorial Day Weekend and runs through Labor Day Weekend. Hours and scheduling are flexible. The rate of pay starts at $10 per hour and goes up as the operator masters each of the three games. Apply in person or leave a reply below and ATZ will forward it to the game’s owner. Having grown up working behind the counter of Mom’s Balloon Dart and Dad’s Spot Game, I feel a special kinship with game operators. It’s not an easy job, especially when there’s no awning and the sun is setting in your face. If nobody plays your game, you don’t get paid. The Coney Island indie game agents whose portraits are in this photo album are survivors and jacks and jills of all trades. 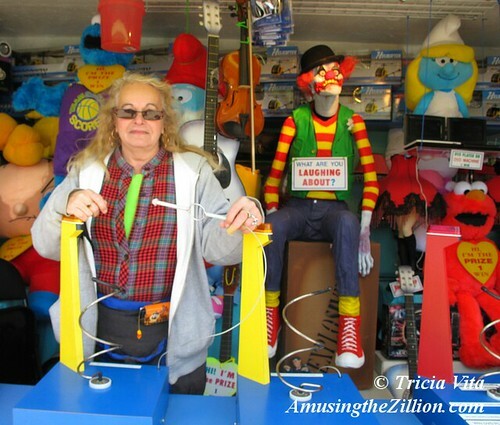 Jerry was a crew member on the Zipper until the ride lost its lease and was shipped to Honduras. 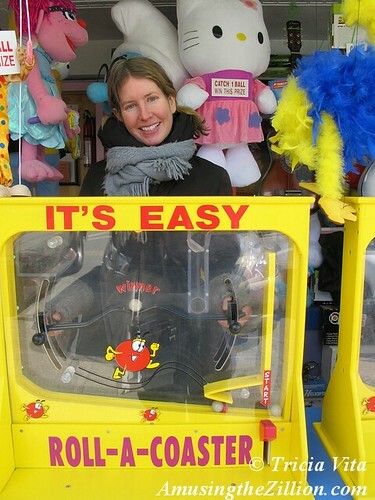 Now he runs a ball toss game on Jones Walk and is one of the stars of Zipper, Amy Nicholson’s documentary about the rezoning and redevelopment of Coney Island. 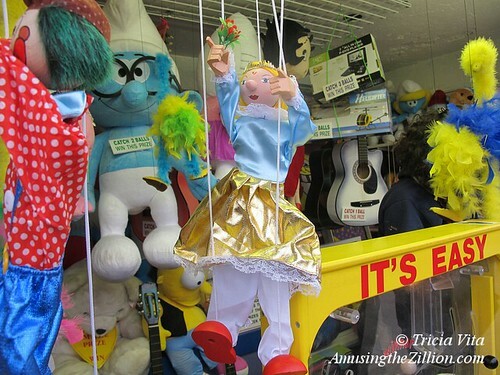 Monica, the High Striker Queen of Coney, has been on the road with traveling carnivals. 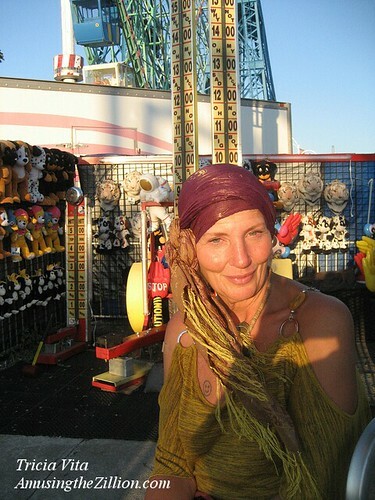 In Coney Island, she was displaced several times due to changes in land ownership, yet she always manages to come back. When I worked a game on Jones Walk, Monica was a few doors down. Since then she’s been on the Bowery and is now located on West 12th Street. This is the spunky gal who told a Voice of America reporter last year that independent attractions like hers give Coney Island its soul. “Our spirit will live on long after we’re dead, honey. 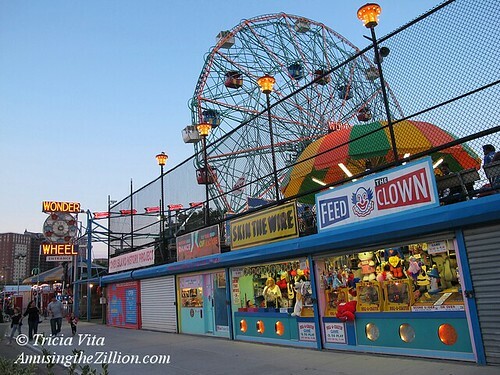 We are the blood, sweat and tears on the block,” said Monica in a feature about Coney’s amusement parks. What’s the difference between an agent and a clerk? Agents work their own game or for a percentage of the profits rather than an hourly wage. They don’t wear company shirts and hats. They know how to call people in to play and are adept at getting you to play some more. The key to their longevity is making sure everybody walks away happy. 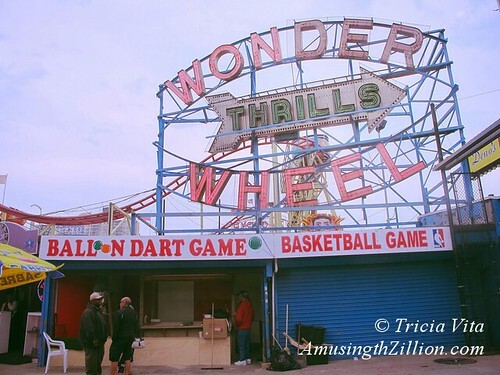 One of my favorite signs in Coney Island–now long demolished, but its operator is back– is WIN BIG! BIG! PRIZES FOR THE FAMILY!!! Janice and Carolyn work the games of skill on West 12th Street next to the mechanical wonders Miss Coney Island and Coney Island Always and the Coney Island History Project. Roll-A-Coaster and other ingenious games are the creation of Benny Harrison, who should be designated the Wizard of West 12th Street. 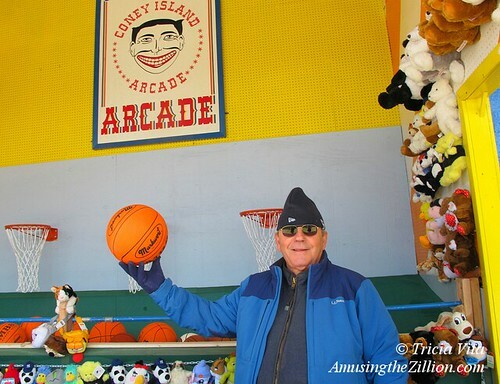 Target the Coney Island Cat and his human, Manny Cohen of Coney Island Arcade and Games, recently left Coney’s Bowery forever. Evicted by the landlord, they moved to Las Vegas. 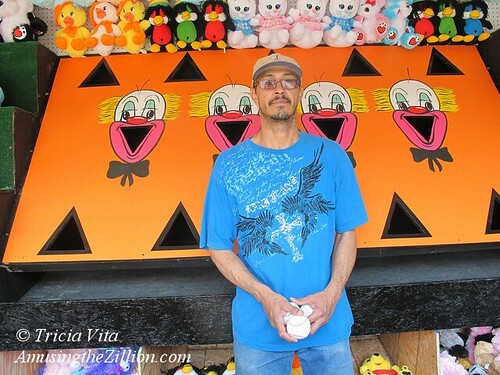 Jimmy Balloons, who operated his Balloon Dart on the Bowery was also displaced and has since reopened on Jones Walk under the Wonder Wheel’s big neon sign. 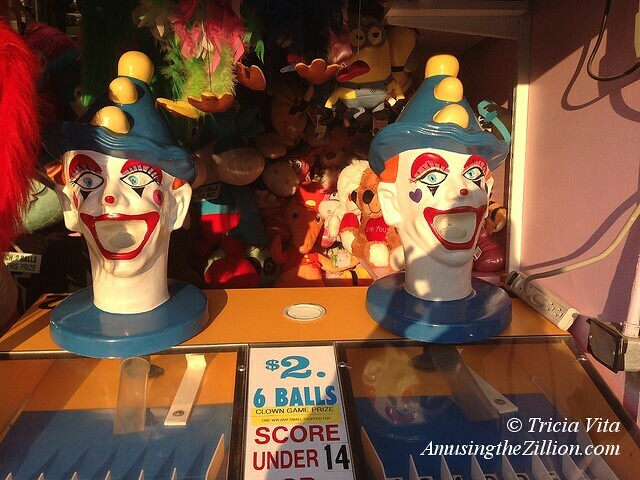 Next door to “Coney Island Always” and “Miss Coney Island,” puppets, zikes and other unique prizes can be won at Benny’s games. On West 12th Street near the Boardwalk.